Puppets War knows sorcerers need to keep their shoulders protected, too, and so they've come out with a new set of sorcerer shoulder pads that should just do the trick. 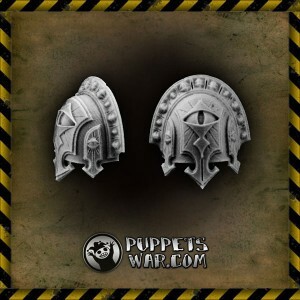 Set contains 10 Sorcerer Shoulder Pads, designed to fit 28mm tabletop wargames scale, supplied unassembed and unpainted. Designed by Puppetswar Art Team. Sculpted by Maciej Powarunas.